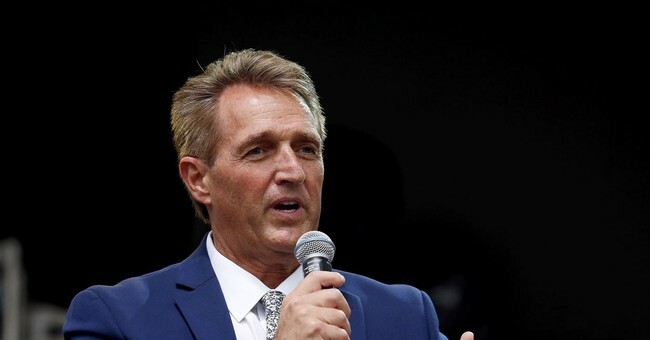 "We certainly want the FBI to do a real investigation and we are working to make sure that that happens," Flake commented. Flake did not reply directly to the question of whether he would vote “no” on Kavanaugh’s nomination if the FBI investigation is not to his liking. "It does no good to have an investigation that just gives us more cover, for example. We actually need to find out what we can find out," Flake emphasized. During the Senate Judiciary Committee vote to move Judge Kavanaugh’s nomination to the full Senate, Sen. Flake insisted that he did not think they should have a full vote on Kavanaugh until there was a week-long FBI investigation into the sexual misconduct allegations against Kavanaugh. GOP leadership reached an agreement for a time-limited FBI probe into the allegations that the White House then ordered. Judge Kavanaugh and Dr. Christine Blasey Ford both gave emotional testimonies last Thursday on allegations that he groped her and pinned her down while he was drunk at a party in high school. Kavanaugh fully denies her allegations and the witnesses she initially claimed were present have no memory of such an incident. Julie Swetnick, through her lawyer Michael Avenatti, claims that Kavanaugh was part of a group of high school guys that spiked the punch at parties and gang raped girls. Kavanaugh denies both of those allegations as well.